3D animation of a rotating dollar currency symbol with a gold surface finish. The symbol rotates 5 times in 20 seconds. Loopable for continuous display. Green background to enable chroma keying. hd00:203D animation of a rotating dollar currency symbol with a green surface finish. The symbol rotates 5 times in 20 seconds and is loopable for continuous display. Blue background to enable chroma keying. 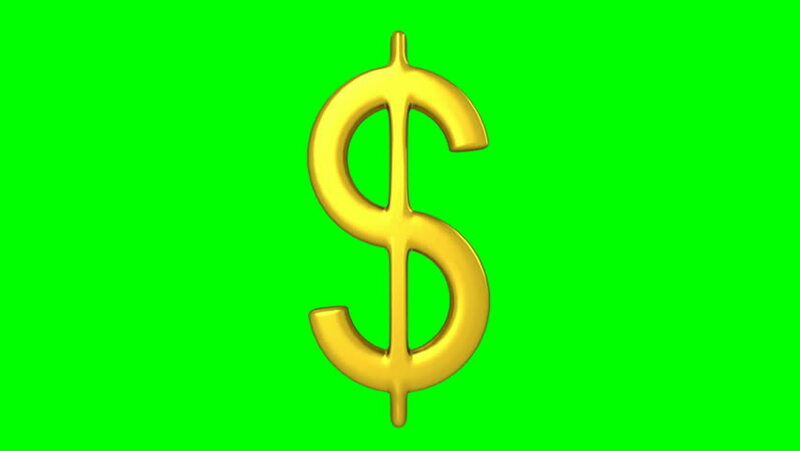 hd00:203D animation of a rotating dollar currency symbol with a green surface finish, loopable for continuous display. Alpha channel for transparency. Also available with a blue chroma key background. hd00:203D animation rotating dollar currency symbol, gold surface. Loopable for continuous display. Includes embedded alpha channel for transparent background. Available with chroma key green background.